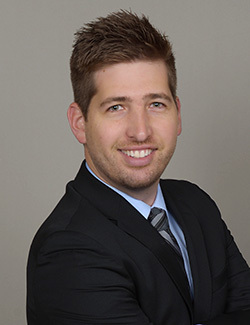 Jared Berman earned his Bachelor of Arts in Political Science from the University of Arizona, Tucson, in 2011, and his Juris Doctor from Chapman University School of Law, Orange, in 2015. He was admitted to the State Bar of California in 2015. Mr. Berman is a member of the State Bar of California and the United States District Court for the Central District of California. While in law school, he competed and won national accolades in Moot Court and Mock Trial. He also clerked at the United States Federal Bankruptcy Court for the Honorable Scott Clarkson. Subsequently, Mr. Berman began his Workers’ Compensation career in Downtown Los Angeles at a plaintiff’s firm for 2 years clerking on caseloads involving work-related injury, asbestos, NFL head trauma, employment discrimination, and slip and falls. He then gained new perspective by joining a statewide Defense Workers’ Compensation firm in Pasadena as an Associate Attorney for 3 years. Having worked on both sides, Mr. Berman understands and focuses on aggressive litigation and creative defense strategies for his clients with an emphasis on closing files. His experience includes all aspects of workers’ compensation defense, including conducting trials, depositions, doctor cross examinations, reconsiderations, judicial removals, and complex high exposure settlements. Mr. Berman grew up in Orange County, CA, and has lived in Los Angeles since 2015. He loves to play basketball, travel to new countries, and create and edit videos on IPhone and GoPro.